Tonight I have an exciting shop update to share with you. 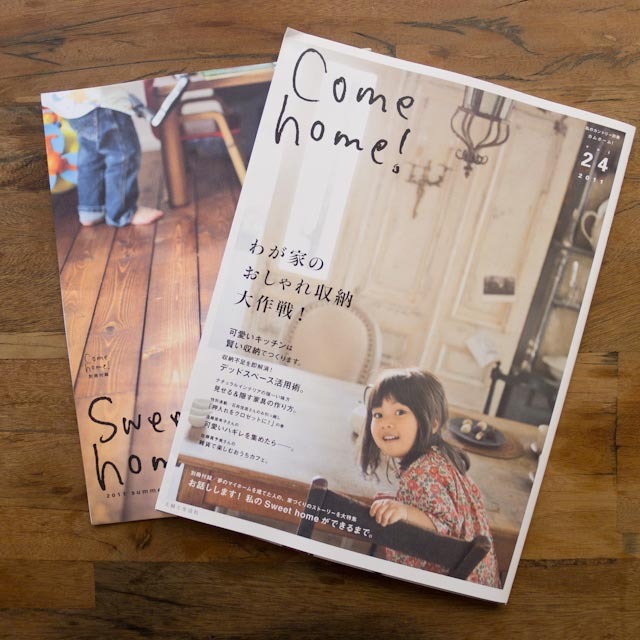 We now carry Japanese magazines! But not any ordinary magazines. Come home! 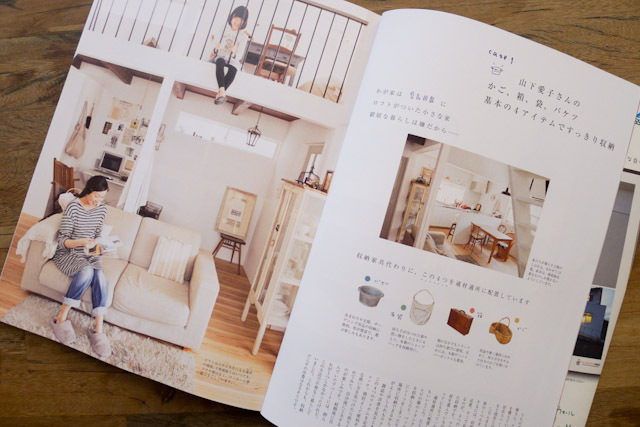 is one of my favorite Japanese lifestyle magazine. 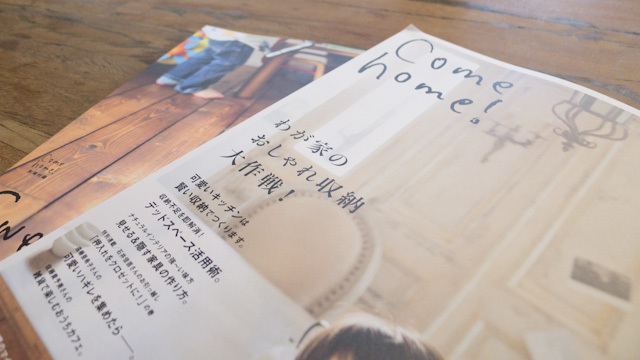 To me it is a go-to-magazine when I need a therapeutic moment... when I have one of those busy days... marveling through the beautiful pages of Come home! helps me feel grounded and appreciate simple moments. The magazine is all about simple/natural aesthetics. Details and vignette they capture in their photographs are absolutely stunning... I think their photos almost feel like a really sweet dream. I also really appreciate that they feature slower pace lifestyles. 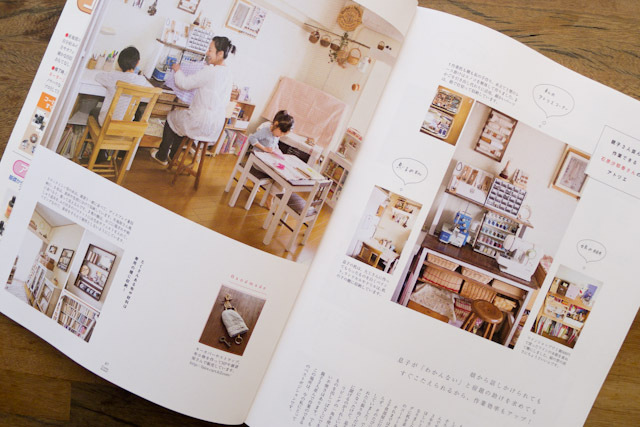 If you flip through the pages, you will see a lot of people who are loving their vintage furniture and have come up with many different ways to incorporate those beautiful artifacts in their lives. This issue (vol. 24) is all about smart storage ideas for homes highlighting different families with their unique ideas. 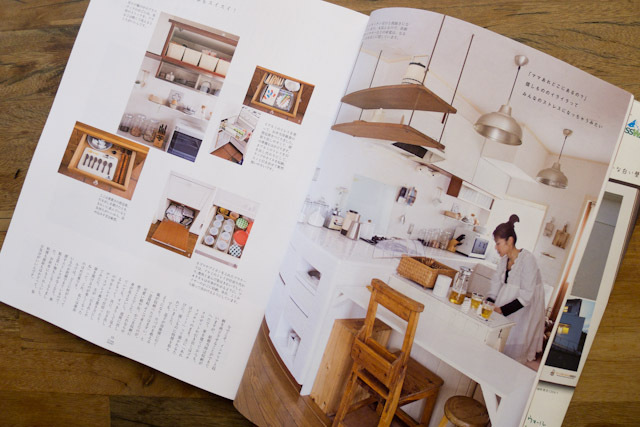 As you probably know, Japanese homes are not the biggest house in the market... but that does not limit how people are living and enjoying their lives. There are a lot of clever and beautiful ideas that can be applied to anyone who is looking for ways to organize the space while being inspired by the artifacts of life. I think its simple, natural and inviting aesthetic can be a source of inspiration to many different interior/fashion styles as well as home craft ideas.